Web scale, sharded data, solid architecture, in The Cloud, with web APIs, and stylish, usable web UIs. Yep, I do that. More signal, less noise. 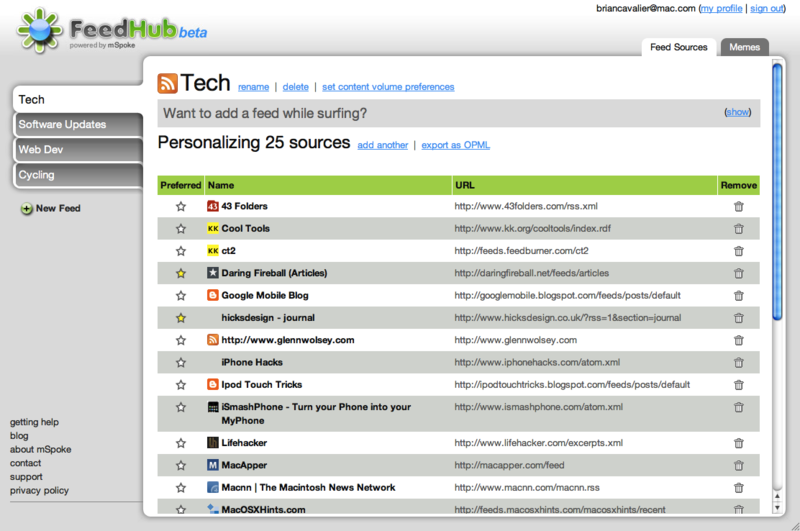 FeedHub is a content personalization app for the masses. 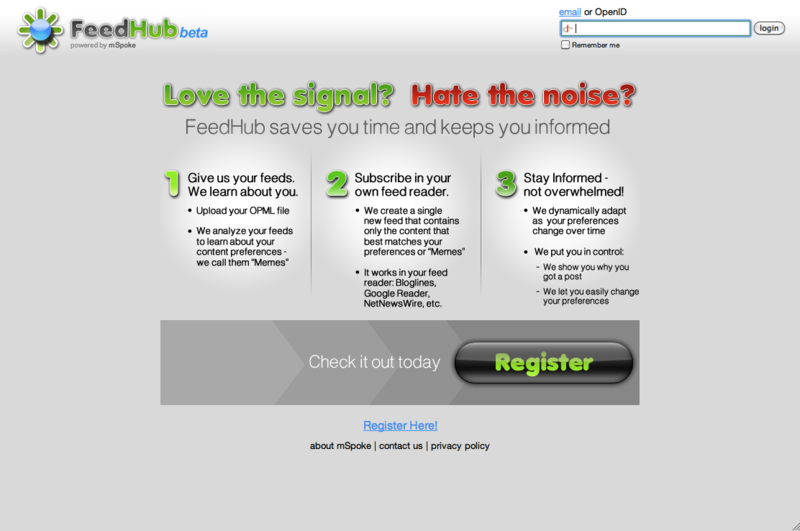 I helped to design and implement many aspects of FeedHub, from bottom to top, including its Map Reduce-style database engine built on Hibernate, its modular Spring-based component infrastructure, and its highly interactive web UI built on Dojo, complete with custom drag and drop components. 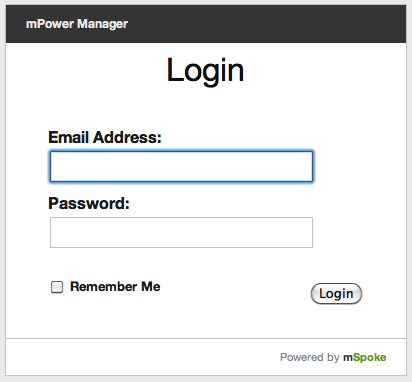 mSpoke's mPower personalization allows content providers to deliver personalized content using several delivery mediums. 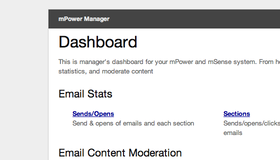 The mPower Manager Dashboard provides a simple & clean reporting interface for customers to track the success of their email newsletters, widgets, etc. 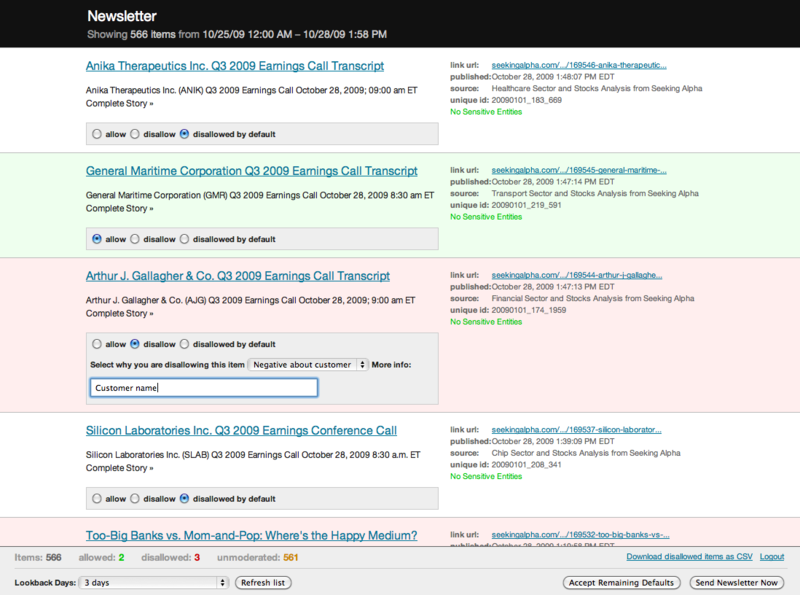 For example, customers can view reports detailing email delivery, open rates, and clicks. It is built from structural, semantic HTML, and allows for easy branding and custom layouts using only CSS. 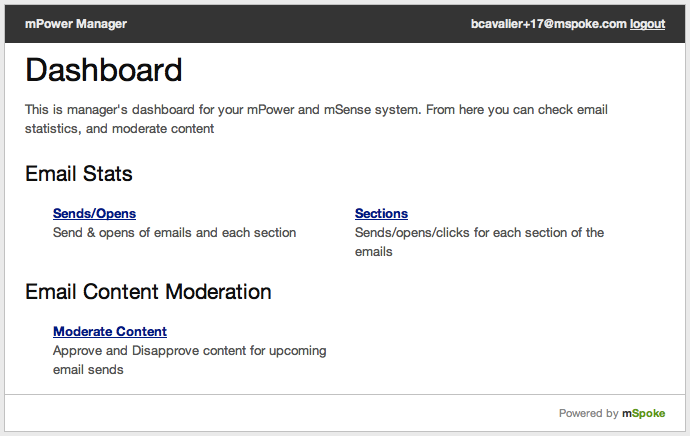 This web app allows mPower customers to approve or disapprove items from the universe of content that they provide to their users. It's layout, interactions, and use of color affordances are all optimized to allow customers to work through large streams of content quickly. 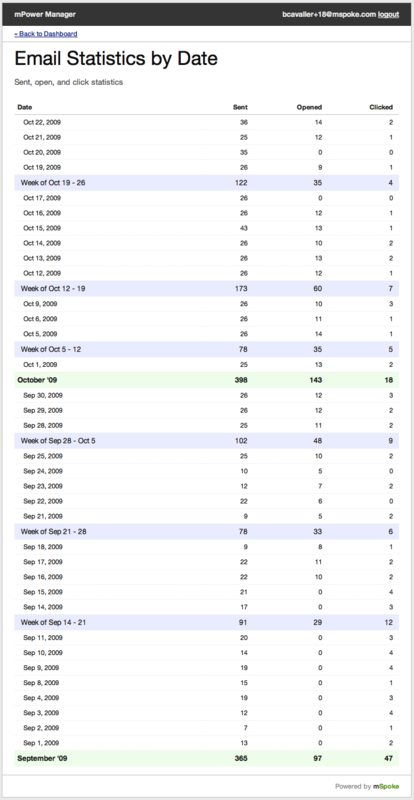 Initially a standalone web app, it was later integrated into the mPower Dashboard. I helped create, and am the administrator of St. George Orthodox Church of New Kensington's web site. 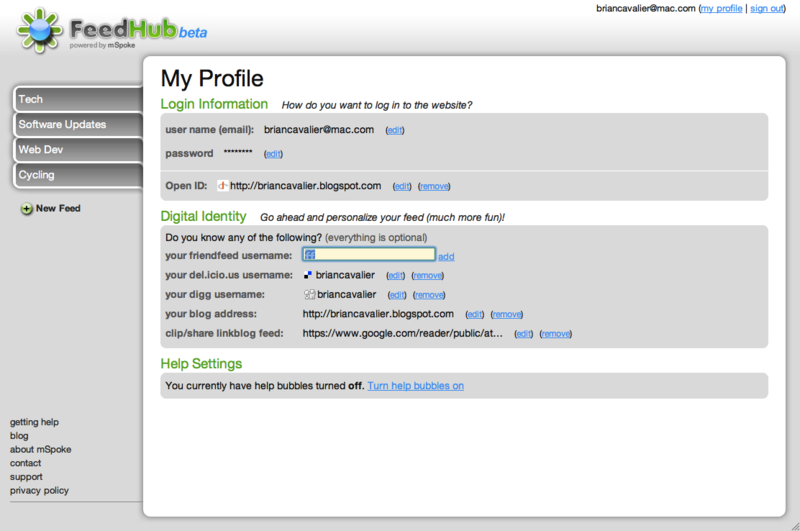 It is built on Wordpress, and features a custom theme, including custom PHP templates and CSS, based on Thematic. 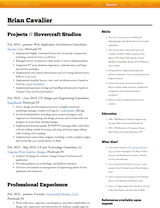 I reinvented my resume as pure HTML and CSS. It is structural, semantic, and valid HTML 5, with hand-coded CSS, and provides optimized layouts for screen, print, and mobile devices, and uses Blueprint CSS for great typography. A Java library of design patterns & functional programming constructs, including a simple Map Reduce engine, designed to work with Java's builtin collections, IO, strings, and networking. 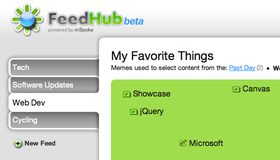 Check it out on GitHub. 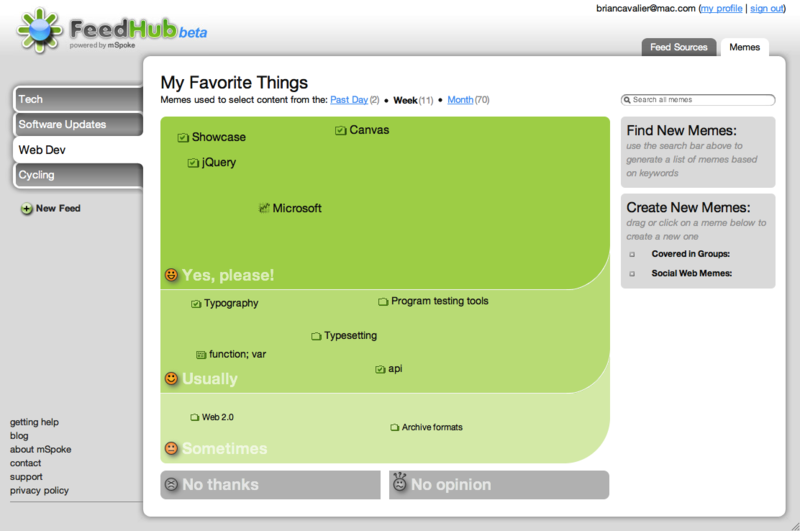 I'm a big fan of TextMate, and have created the following bundles. Each provides a language syntax definition and several useful snippets and commands. Freemarker Bundle — A basic bundle for Freemarker template editing. Trac Bundle — A bundle for editing Trac wiki pages. 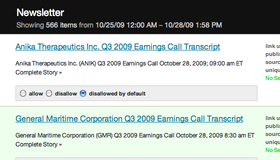 Copyright © 2009–2011 Brian Cavalier — mPower and FeedHub are properties of mSpoke, Inc. Screenshots used with permission.